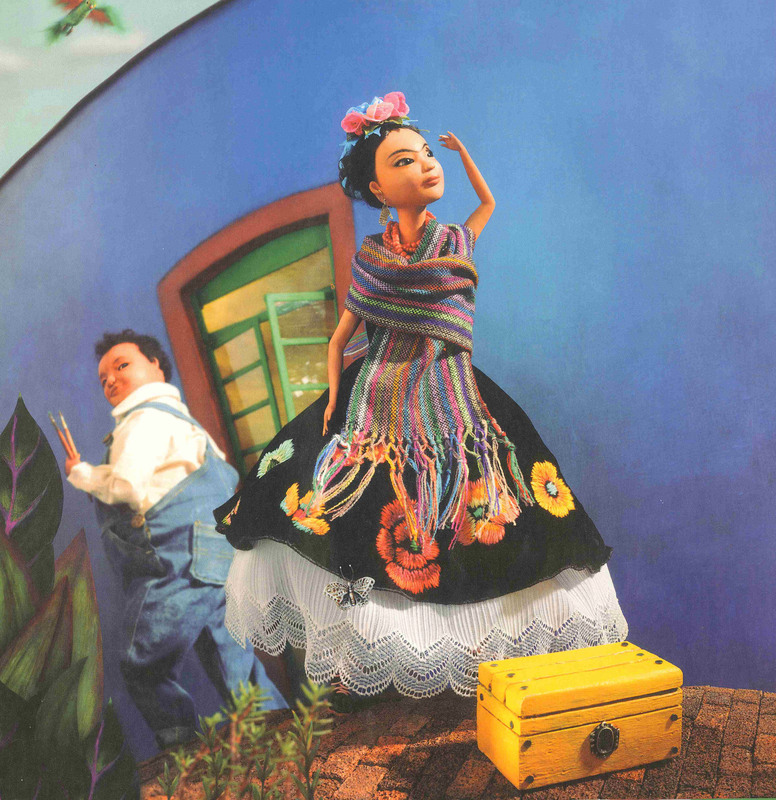 There are numerous resources available for teaching about Kahlo, so in today’s post I’ve highlighted three of my favorites. We’d love to hear about any other teaching materials you’ve used in the comments. One of my favorite resources is created by the Tate Museum. Through their unit plan students explore pairs of works that are studied and analyzed as they relate to specific themes, such as “Belief Systems and Links with Nature,” Constructing Identities,” “Relationships, Politics and Constructing Identities,” “National Identities,” and “The Broken Body, Illness, Disability.” For each theme there is an activity created for primary and secondary classes. To give you a sense of what you’ll find throughout the guide, for one theme, primary students learn how to make mood masks, while secondary students look at body language and clothing through keeping a sketch book journal. Teacher’s Network has a four lesson unit on “Frida Kahlo and The Art of Self-Portraiture” created by Jessica Rivera. The unit is based on lesson plans implemented with third grade students. While teaching about Kahlo, the unit also covers a number of technological and academic subject objectives. Students will be exposed to skills and rules for using the internet, along with practice in using other technology tools such as scanners and/or digital cameras. Students will also learn how to create a virtual museum. Reading and writing across genres is also incorporated into the unit. Kimball Art Center has a wonderful lesson plan focused entirely on teaching students how to draw a self-portrait within the context of teaching about Kahlo. It is a simple and straightforward unit plan that can be easily adapted for a variety of grade levels. Visit the website or download the word document. 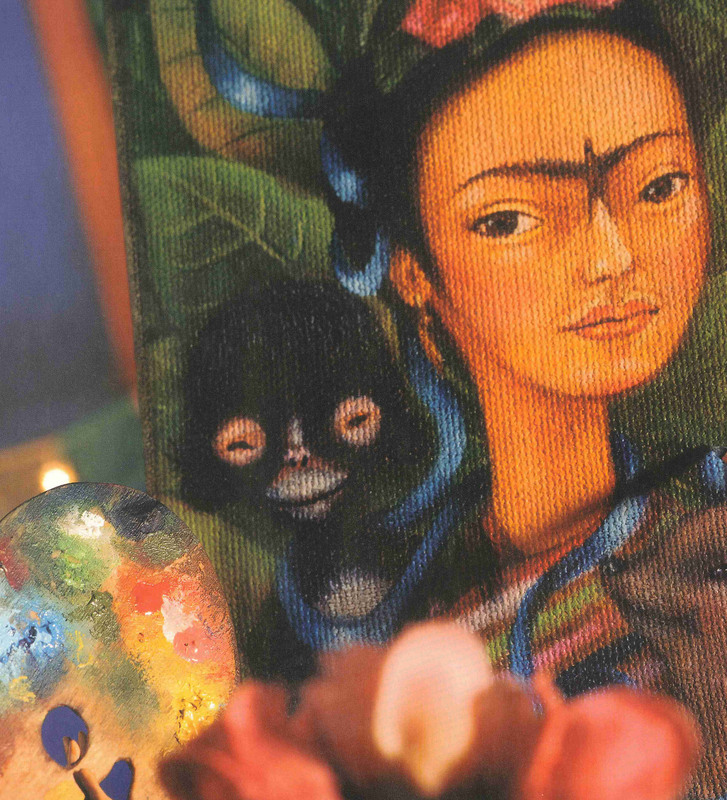 With so many excellent books on Kahlo, it’d be easy to mix and match the lesson plans shared here with a literacy unit on historical fiction or biography. 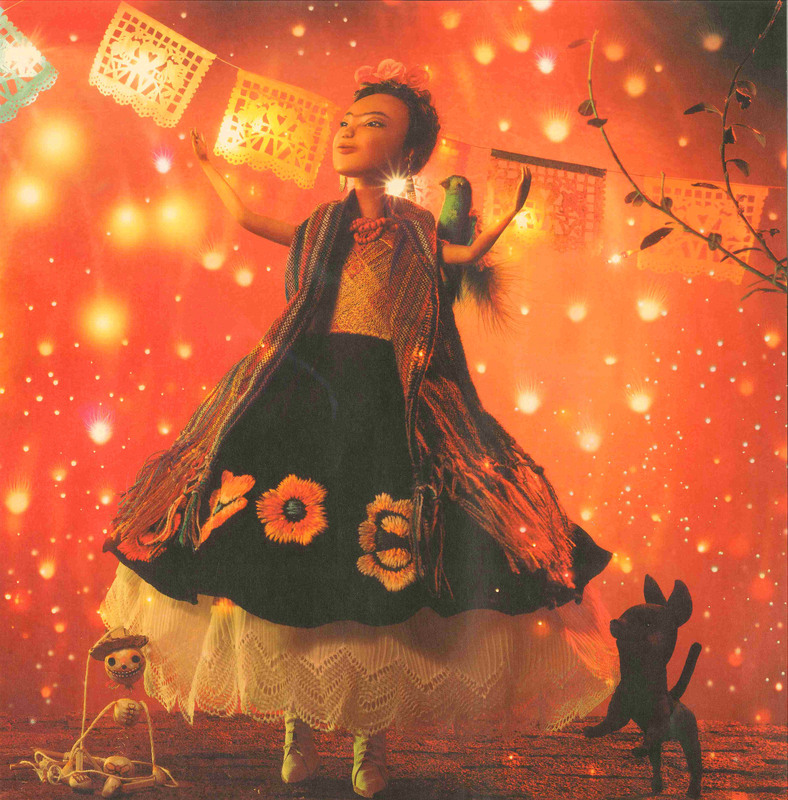 One of my favorite books is Yuyi Morales’ Viva Frida (all the illustrations included here are from this book). Lorraine did an entire post on this book last spring. Below I’ve listed a few other titleyou may want to check out. Jake also wrote a great post on “WWW: Food, Fashion, and Fridamania” that you may enjoy. Images: Modified from Viva Frida. Illustrator: Yuyi Morales. Photographer: Tim O’Meara.